This August Bank Holiday we have another great Sunday evening planned! We are looking forward to welcoming back The 24-7 Band who’ll be performing a great playlist of classic and current rock & soul covers. 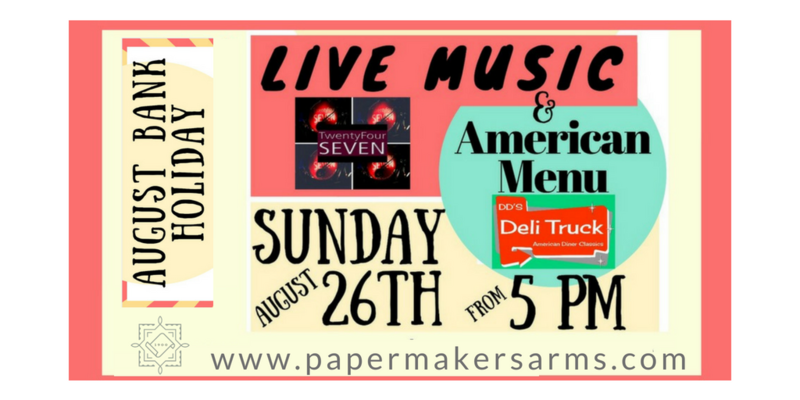 We are also pleased to confirm that the Deli Truck will be joining us with their gourmet street food truck and a special american menu – more details to follow! Open from 5pm, with food from 5:30pm and the band from 6:30pm. We’d love to see you there!